Today is the perfect day to share a Highlight Film. It’s cold and rainy out, but I’m warm and cozy inside with coffee and excitement. I just finished Logan & Clark’s Film and it’s one of my absolute favorites. Not because of anything specific to their wedding video or the cinematography, but because of them. I’m lucky to have grown to know them, due in large part to the process of creating their Engagement Film (if you haven’t seen it you seriously need to click here). It’s a new friendship, but one that has allowed me a deeper appreciation for being present at their wedding, for seeing the supportive community of family and friends celebrate their unity, and for having a glimpse into their adventure ahead. 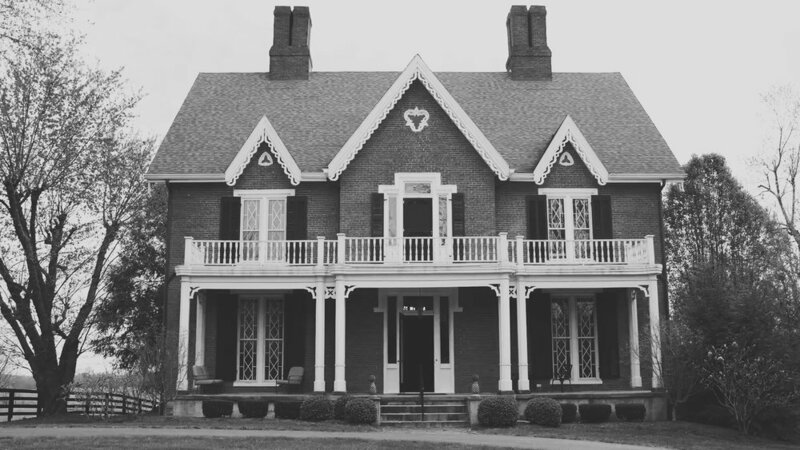 Logan & Clark prepared and dressed for their wedding in their beautiful home in Lexington. Darcy, their Westie, told me it was going to be a wild party that night and that I should help keep her owners in-check (she makes a cameo at 0:22). I made her no promises. Prior to the ceremony, Gratz Park provided the backdrop for pictures of the family and wedding party. The colors of the changing Fall leaves had me captivated and I used the resulting footage to start their film. It was also the spot that we snuck back to after the ceremony for some golden-hour sunset footage. Both the ceremony and reception took place downtown at ArtsPlace, a nice & easy 100 yard walk from the park. The food (Selma’s Catering & Events; Martine’s Pastries) was fantastic and the band (Music City Rhythm Revue) knew exactly what they were doing: They covered Prince’s 1999 perfectly... to the point of having my non-existent booty shaking (though embarrassingly bad, compared to the dance skills of their guests). I want to wish Logan & Clark the absolute best as they continue on their path as husbands. Thank you so much for trusting me to create your films. I can't wait to see what you accomplish together! Shout-out to Amy Campbell Photography and Resa Browning who coordinated. You both were awesome to work with! I’ve been holding onto this post for quite a while now, and finally being able to share it makes me go, “BOOYEAH!” Please just picture me saying that in the coolest, least embarrassing way possible. We didn’t want any of Logan & Clark’s guests to accidentally see their Engagement Film on my social media page before having the full experience of seeing it on their wedding website. Now that all of the RSVP’s are in and their wedding is THIS SATURDAY, I’m sharing this puppy! I worked with Logan and Clark from spring into summer to conceive and create their Engagement Film. After meeting with them and getting to know their personalities, a Ferris Bueller-esque, breaking the 4th wall sequence popped into my head. I pitched them the idea, hoping it wasn’t too off the wall for their tastes, and it wasn’t. In the following months we worked on a script, storyboard, and production schedule to make things come alive. Hey, don't laugh at my drawings. So long as they convey the framing that's all that matters! Part of the Engagement Film commission included a custom website to showcase it. All of the relevant information for their wedding was also included on the site that I built for them (ceremony location & time, links to hotel accommodations, activities in and around Lexington, Kentucky, and an RSVP form). Perhaps my favorite thing about Engagement Films (apart from how fun they are to create), is that in the process I learn so much about the couples I work with. I see Logan & Clark as friends first and clients second, and getting to know them and their relationship will be invaluable in creating their wedding film after this weekend. Stay tuned for their Highlight Film! A big thanks to Michler’s for letting us film on their grounds & in their greenhouse! I was a little worried as Bill + Darryl's wedding on September 20th, 2014 approached. 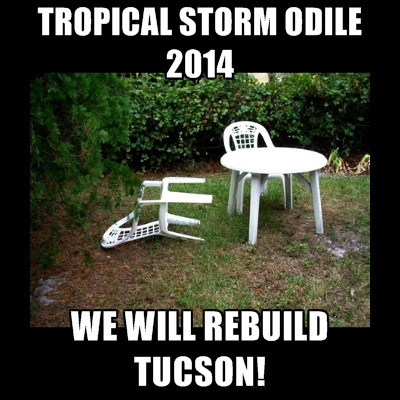 As I'm sure everyone remembers, that week almost saw the complete and utter destruction of Tucson as we know it, thanks to Tropical Storm Odile (see the carnage here). Luckily, things cleared up by that Saturday afternoon and we had some beautiful weather. Flying out from NY, the day-of was the first opportunity for both Carina and I to meet Bill and Darryl face to face. We met during the wedding party's lunch and in my usual, super-smooth fashion I got my name wrong. "Hi, I'm Bill," I said. "No, I'm Bill," said Bill. At least one of us nailed it. I get nervous in front of large groups. After I cleared that one up, we ventured around the Ritz-Carlton grounds for some good shot locations. There wasn't a shortage of them, that's for sure. Sometimes the hardest part about editing our films is narrowing down which shots to include. It's one of those good problems to have, certainly. The atmosphere during preparations had a warm excitement without any of that overbearing stress in the air. Bill was doing everybody's makeup, which we thought was pretty cool - usually it's the other way around. There was also Darryl's pink tux, which was rad (yes, "rad!" It's making its way back into the vernacular, trust me). He certainly rocked the pink theme he had going on. The rest of the day sort of went by in a flash. It usually does once the festivities get started. We have to hand it to Bill & Darryl's guests and family - they are a dancing group! I saw a couple moves I hadn't seen before, and skill level permitting I might try and bust them out in the future. Overall, the experience of Bill & Darryl's wedding was awesome for us. We are honored they chose us to document their day, and we hope they enjoy their film for decades to come! Cheers guys. P.S. Shout out to vendors! Bill & Darryl hired Leigh and Ryan (Hammond/Preuss) as their photographers, and they were phenomenal to work with (one of the best in Tucson, Arizona). They're fun and laid back (read: confident in their work) and coordinating our joint coverage was super easy. We highly recommend them . In addition, La Fluer Plantscapes (Tucson, AZ based) did an excellent job with the flowers! Venue: The Ritz-Carlton, Dove Mountain just north of Tucson.